Makerbot is a large name in the 3D Printing industry. They were one of the first companies to pursue desktop 3D printing and bring 3D printing technology to the consumer market. Yet, in recent years (as 3D printing has become more popular), Makerbot’s popularity has declined. Once one of the giants in the 3D printing world, Makerbot now struggles in the modern-day 3D printing market. However, Makerbot plans to change this with the release of their new printer, the Makerbot Replicator +. Makerbot’s new printer looks promising. Claiming to be “bigger, faster, and more reliable,” this new printer could be revolutionary. However, because it’s relatively new, the 3D printing public hasn’t had much of a reaction to this printer. Nevertheless, I believe this 3D printer could truly shake the 3D printing market. The new printer boasts a 25% larger build volume, 30% faster print speeds, and greater print reliability. The new printer also features improved hardware, (like a redesigned gantry and z-stage). The new Makerbot will also come with a flexible build plate, that comes pre-equipped with Makerbot’s new “grip build surface”. However, you are STILL limited to PLA (and “tough PLA”) on the new machine. For a printer that costs $2500, you should be able to print in multiple materials (in my opinion)! This is by far one of the biggest drawbacks of the new machine. Yet, the new Makerbot’s will be able to print in Makerbot’s new “tough PLA” if equipped with Makerbot’s new “Tough PLA Smart Extruder+” This new filament will bring slight variety to an otherwise “boring” selection of printable filaments. The new Makerbot’s will also be extremely reliable, as they have undergone nearly 380,000 hours of rigorous testing! This was a serious issue in the previous generation of Makerbots, as many of the machines were extremely unreliable. The Replicator + will also have the previous features of the 5th generation Makerbots. This includes (but is not limited to) the new Smart Extruder +, an Onboard Camera, a LCD Display, etc… These features were pretty great before, but I predict they will be implemented even better on this new machine! In conclusion, the new Makerbot looks pretty great. With all the features of its predecessor, and with improved speed, reliability and build volume, this 3D printer could certainly shake up the 3D printing market. 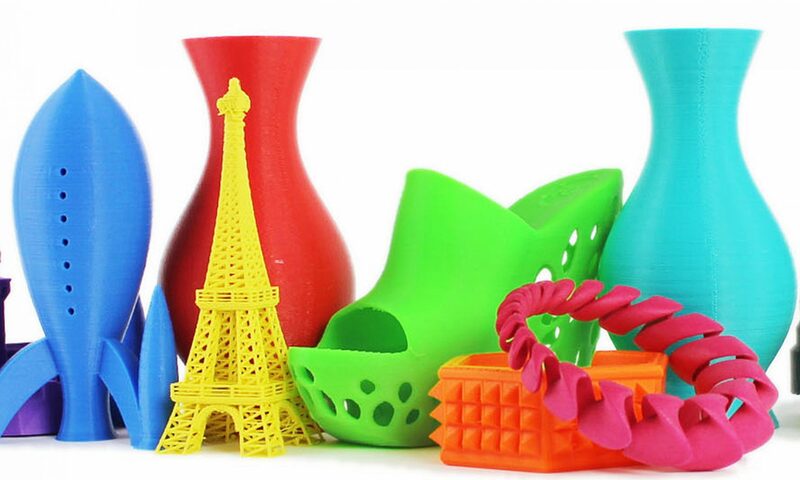 Next PostNext 3D Printing Post Series: The Eiffel Tower!